Cornelious Weaver, one of Hernia's most eligible bachelors, is due to finally tie the knot—but three days before the big wedding, he's found dead...in another woman's bed!! The scandal is better than a made-for-TV-movie—not that any of the good citizens of Hernia own a television—and the details get even more delicious: Cornelious wasn't just cheating on his bride-to-be; he was carrying on affairs all over town! 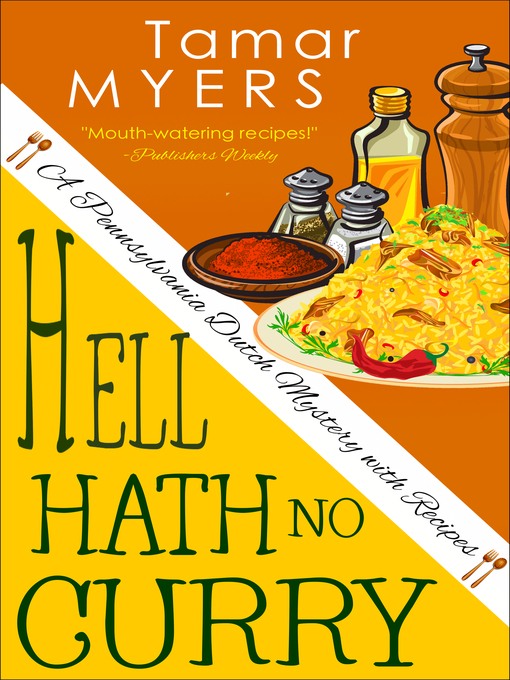 When the coroner's report reveals that Cornelious's curry was spiked, Magdalena's hunt for the killer becomes red hot...with plenty of dishy suspects to choose from!! !